My Name is Mark; I’m a Computer/Database analyst by trade and Traveler in my heart. I’ve worked in Asia for the past eight years and been so fortunately afforded the capacity to travel in that time. Traveling is the only thing you buy that makes you richer and is the best education. As the places that I traveled became more and more fascinating I felt I needed to tell my story through photos. Korea has been an adventure like none other and I’m glad you came by to share it with me. On my site you will find images from other places as well, however most encompass my escapades in Korea. I hope you enjoy them as much as I enjoy taking them. 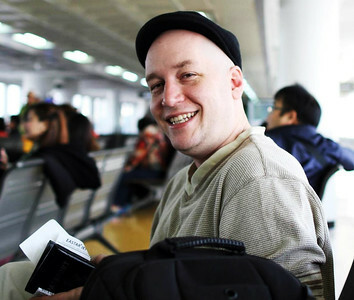 Marks work can be seen most notably on the cover of Lonely Planet Seoul (2012), Seoulistic Online Magazine, Seoul Journal and many more online publications.